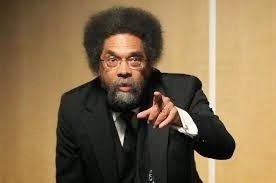 Cornel West came to Harvard on Friday, April 17th, to speak out for divestment by Harvard in any companies that manufacture or that are trading in fossil fuels. West called the divestment struggle a "Planetary Selma." 350.org had a little snippet of some of West's remarks posted on its Facebook page, including a spirited video in which West proclaimed that he "wants to be on the love train."